Our handy staple size guide below will help you work out which standard size staple you’ll need, plus hopefully give you a good understanding of sizing for your stationary arsenal. The staple sizes commonly used are the 13/8, 13/6, 24/8, 24/6 and 26/6. To determine what size staples to buy for your stapler, check the bottom of the unit or the underside of the staple carrier. If it is not stated there, check the stapler packaging or manual if available. If all else fails the below explanation should give you the knowledge to choose the correct size. The most commonly used format for staple sizes has two numbers: gauge and shank length. The first number, the gauge, measures the staple wire diameter; the higher the number, the thinner the wire. 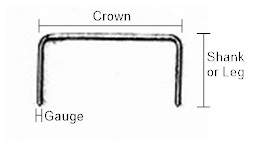 In a 26/6 Staple the 26 gauge has a thickness (diameter) of the wire of 0.4mm The second number is the shank length in millimeters. To measure this, you measure the distance from the back of the staple to the tip of the leg. See below image. In a 26/6 Staple the Shank is 6mm Staplers often take multiple shank lengths, so it may be worth purchasing the longest length to maximize its uses. The shank or leg length will determine how many sheets you can staple securely. 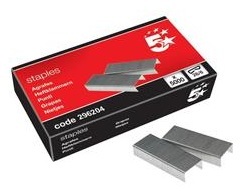 For a 26/6 2-15 sheet is recommended for a 26/8 2-30 sheets can be stapled securely. Rexel use their own referencing which is not immediately identifiable to the above, to make it easier if you are thinking of ordering Rexel, the below summary should help you identify which size you need. 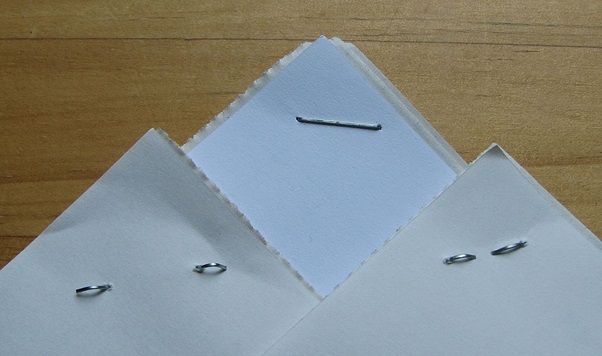 Do you know the difference between stapling and tacking. On some staplers, you can turn the baseplate around so when you drive the staple through the paper the legs fan outward rather than inward. This handy option is used a lot for adding cheques or receipts to documents, because it’s easier to remove the staple without tearing.